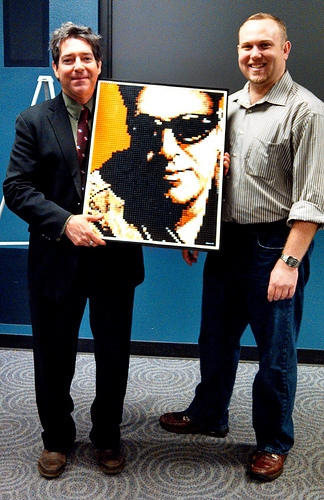 This 25″ x 30″ mosaic of Geoff Notkin from the Science Channel’s, Meteorite Men was commissioned by Arizona’s Challenger Space Center as a gift to Mr. Notkin. According to builder and celebrity stalker Diamond Dave Shaddix: “It was a wonderful evening filled with some interesting conversation and great people.” Way to schmooze it up, Dave. If you want to get a better look at the mosaic, click here.